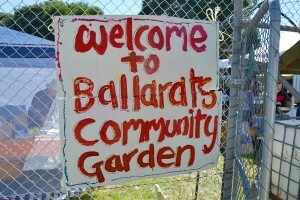 Welcome to the website of the Ballarat Community Garden ( BCG ). We are located Corner Queen Street and Dates Parade Ballarat, on land managed by the Ballarat City Council and visitors are welcome. The BCG was built in 2004/2005 after several years of planning and lobbying. Approximately 75 beds have been built and, plus 4 raised beds and 6 vegetable boxes. We aspire to be a place where people can Grow, Learn and Connect. We are a not for profit organisation promoting organic and sustainable gardening practices for the benefit, enjoyment and education to our members and associates. The BCG facilitates and assists members to maintain and enjoy their garden beds. The wider community is welcomed to events and provides an associate membership to encourage the community to be part of the garden’s broader activities and connect with other people with an interest in community gardening. 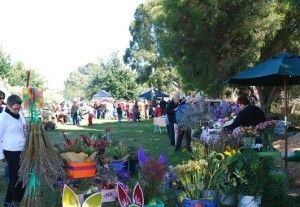 The responsibility for managing the community garden rests with Ballarat Community Garden Committee. The committee consists of up eleven members with a quorum of no less than five to be able to conduct meetings. All committee members are appointed on a voluntary basis. Committee meetings are held on the 2nd Wednesday of each month and working bees are held on the following Saturday morning from 9am. The committee meetings commence at 5.30pm at the Community Garden. Members friends and interested community members are welcome to attend both the meeting and / or the working bee. Want to join the BCG? waiting list. We cannot predict how long you may have to wait as it will depend on someone choosing to leave. You can also interact with us on Facebook. BCG Event page is open to all even if you do not have a FaceBook account. BCG Discussion page is a place to discuss issues relevant to BCG and its members. You will need to apply to join this group and you will need a FaceBook account.